As you begin observing the movement of the moon through the heavens, you notice its monthly highs and lows as well as its seasonal extremes. Have you ever wondered about these Moon swings? How high and low can they go? How do they compare to the Sun's solstice swings? Do you know about the lunar standstill season? Keep reading to learn more! Within each month the Moon has a northern and southern range of moonrise / set points. It is at its highest one day and two weeks later at its lowest. It takes the Sun one year to accomplish this range of movement. This occurs because the Moon makes a full orbit around the Earth each month and follows a similar path across the sky that takes the Sun a year to complete. The 23.4° tilt of the Earths orbit around the Sun allows the Sun to be seen that far north or south of the celestial equator. 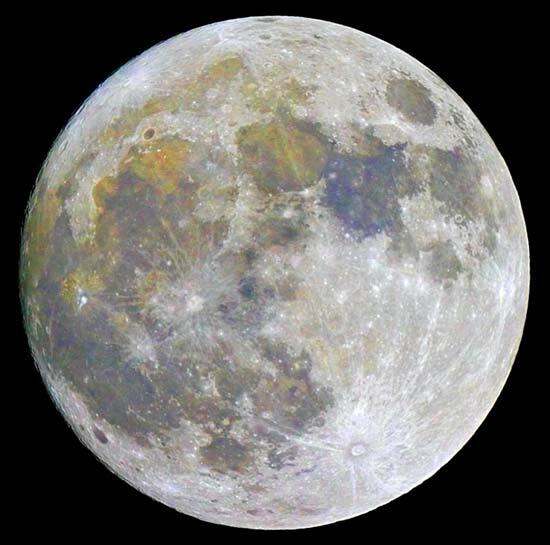 The 5° tilt of the Moons orbit around the Earth allows the Moon to wander that much further north and south, 28º +/–. The lowest Moons can be seen moving through Scorpius and Sagittarius in the south and the highest northern Moons can be seen in the constellations Taurus and Gemini. A year with numerous occultations and super close conjunctions of Antares, the heart star of Scorpius, low-lying Spica, the brightest star of Virgo the Virgin and the Pleiades star cluster, the shoulder of Taurus the Bull, are a result of a lunar standstill season. Note: A "season" of Pleiades occultations began for our world December 13, 2005 and continued until the year 2010. Read more. During 2005-2006 the Moon made its widest swings north and south of the celestial equator each month. We experienced a major lunar standstill season. For the Moon this is similar to the time of the solstice with its maximum lunar position either north or south of the celestial equator. Solstice means "Sun stands still". The Sun's path stops shifting far south in the winter and stands still readying itself to move northward ... vice versa in summer. At the same time the Moon's path stops shifting far north in the winter and stands still readying itself to move southward ... visa versa in summer. Compare the winter solstice paths of the Sun and Moon. Why Is the Moon So High (or So Low)? Hmmm ... what were you experiencing during the 1987–1988 lunar standstill? What were you experiencing with the most recent (2005-2006) 18.6 to 19 year turn of the spiral, or shall I say swing of the pendulum?! The next lunar standstill season occurs 2023-2024.